A few months ago I was on the hunt for a new foundation. I had been using L’Oreal Visible Lift and Revlon ColorStay (Normal/Dry) and various BB creams. I wanted something new. I was fine with my ‘old’ foundations but I just wanted to try something new. My criteria was it had to be medium to full coverage, perfect colour match, moisturizing and maybe thinner that the Revlon ColorStay. So what did I get? A whipped foundation. It seems and looks thicker that the regular liquid ColorStay. So what was I thinking? I really wasn’t HAHA. I had my favorite Shoppers beauty technician match me with the right colour. For once, there were testers of all the colours they had (12 in all). YAY! So we sat down and tried several different foundations (Bourjois, Benefit, Rimmel, etc) and the Revlon ColorStay whipped crème was the best match and texture for my freckly dry skin. My colour is 240 Natural Beige. How many ways can I say I love thee? This foundation has to be one of the better ones I have come across since… well the Revlon ColorStay (henceforth known as the liquid). It comes in a hefty glass jar. My first thought was eww messy and un-hygienic but the jar has a stopper cap to prevent spillage and it keeps the cap clean. It is a little weird to pull that up each time, but whatevs, I got used to it. The texture is something else, like a thick cream. 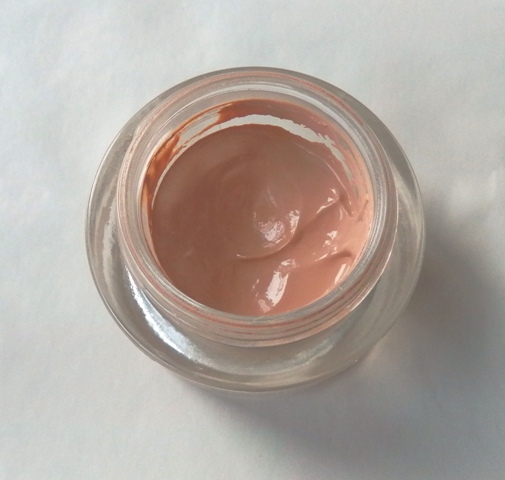 One pea sized swipe out of the jar is all you need for full face coverage. I made the mistake of using too much the first time HAHA can we say cakeface? 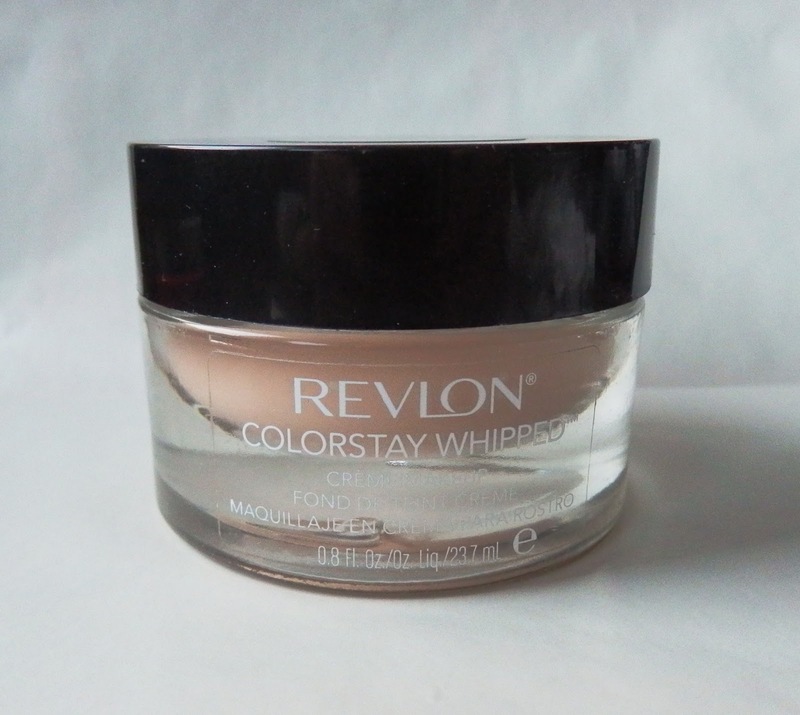 The Revlon ColorStay Whipped Crème foundation is a medium coverage that can be built up to full coverage in the places you need it. Why do I say medium? Because I can still see my freckles though the foundation. I need to apply a thin second layer over my cheeks to minimize those little brown bastards. HAHA Can you tell I have a love/hate relationship with my freckles? 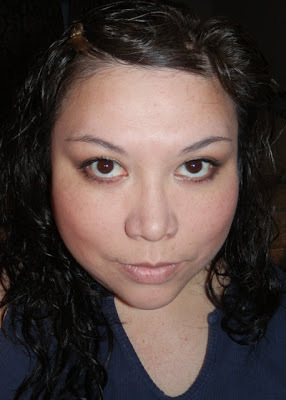 Once on the skin, this foundation liquefies and is so easy to spread out. It is so much easier to apply than the liquid ColorStay. The finish is a semi-matte which lasts pretty much all day for me without any oxidization. I actually find that this foundation looks better as the day goes on. Weird but true. It’s lightweight and wears evenly throughout the day, no patchiness or separation during the day. I usually touch up around the 6 hr mark by just lightly applying some powder to my forehead and nose. It says 24hr on the jar but I have not put that claim to the test. I think the longest I wore this foundation for was 14 hours and it still looked pretty decent. The only downside I can think of, other than the jar, is it can emphasize dry patches. I had a dry patch of skin on the side of my nose and I did notice the foundation clung to that. It wasn’t as bad as some foundations but still just remember to exfoliate and moisturize before using. So overall I really like this foundation and has become my current favorite. I have been using this exclusively since the beginning of December. I purchased mine at Shoppers Drug Mart for $18 CDN. Would I repurchase? Yup! AW that's not good -no match :(. I did notice the majority of the range has mostly pinky-beige undertones to it though. You are so sweet-looking with your freckles! I love 'em! The dry patches are the main reason I have so many issues with liquid foundations...my nose always has them and foundation can really emphasize them. The colour is a perfect match for your skin from the picture so you and your fave SDM girl did well! Lydia did all the work. I just sat there (my kind of shopping LOL). She is pretty good. She always helps me. But then I am there all the time LOL. My nose is the same way - I usually don't have to worry about blemishes just that pesky dry patch on the side of my nose popping up. But I discovered that if I have a dry patch showing after I finished my foundation, spray MAC's Fix+ on it and then smooth it down with a concealor brush will help hid it. You are so adorable!!! :) I'm actually really impressed with how lovely it is on your skin. I get the dry patches on my nose too...I just moisturize the heck out of it first and often it does the trick..if not I add a second coat of moisturizer after the foundation. I was so suprised how much I liked this foundation. 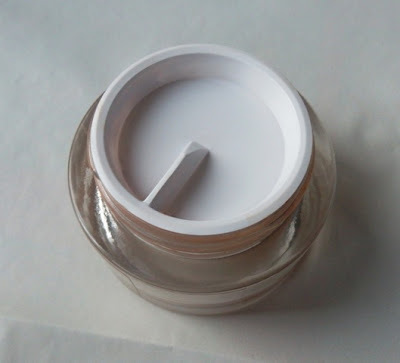 The open jar/pot did turn me off initially but the coverage was so good that I willing to overlook that.